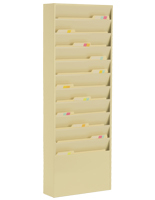 Need to sort and categorize important information in your office? 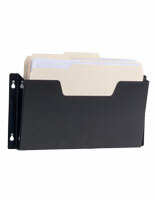 Check out these metal wall file organizers! 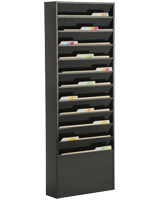 The durable steel construction and large variety of pocket configurations make it easy for any office manager to quickly sort mail, file folders, and other literature. 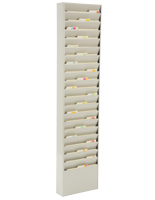 Each compartment is perfectly sized for traditional folders, but other publications like magazines and catalogs can also be inserted into the hanging racks. 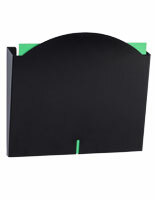 The versatile designs are ideal for use in doctors' offices, schools, and waiting rooms. 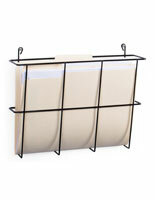 The lobby of any business will benefit from the mounted file racks. 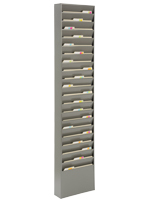 You could even add a metal wall file organizer to the entryway of your church or other community center to distribute resource information to members. 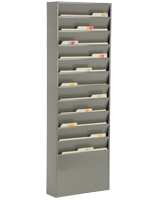 No matter where you hang the vertical file holder, you can be sure it will last due to the strong steel construction. Efficiency is crucial for every business or non-profit, especially when multiple patients and projects are being managed at the same time. 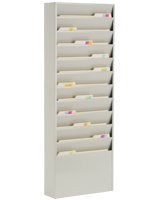 These multi-pocket filing systems attach to the wall to save room on already crowded desks. 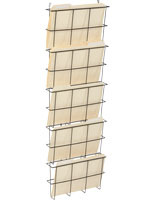 Many of the filers are compatible with hangers that fit over standard cubicle partitions, which makes them perfect for offices. In addition, they allow users to quickly and easily locate the information needed for specific tasks. Keeping files at your fingertips is a great way to save time, increase efficiency, and spruce up the office all simultaneously. 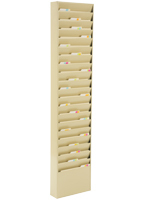 Choose the number of compartments that suits your business or office's needs from the wide variety of options. 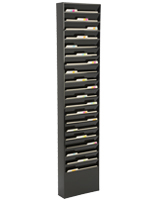 The vertical filing systems that mount on the wall are available in several colors and finishes like silver, black & white, so it's easier to match your existing decor or interior design scheme. 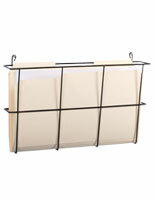 Take advantage of better file storage when you purchase any one of these folder racks. 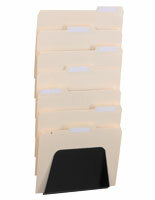 When you're at work, you don't want to be slowed down by sloppy filing. 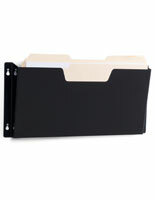 The ergonomic design of each steel pocket features a slight slant that keeps folders very accessible. 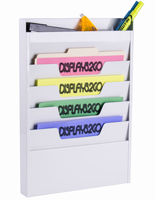 While the folders are mostly concealed inside the compartment, the tops stick out just enough to make it easy for office workers to read tags and labels. 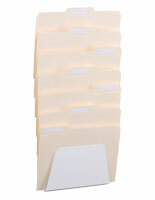 Healthcare settings need to grab files quickly without much thought in order to keep patients moving along. 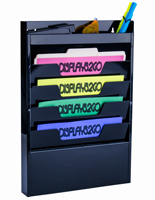 Keep your clients happy by installing a vertical folder rack that gives you that "quick-draw" ability. 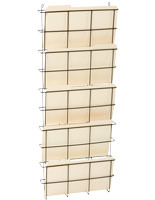 Need multiple organizers to outfit your whole location? No problem! Our wholesale prices allow customers to save more per unit when they buy in bulk, so order yours today!